Abundance is a fascinating topic. A solid understanding of it can make you rich in many ways. So, let's examine the root of abundance, which is giving. Until a few years ago, I thought the notion, "You only get what you give" was illogical nonsense. I mean, think about it, how can giving be related to getting? Isn't it true that the more you save, the more you have? Well, in recent years I have come to understand the secret to abundant living and having everything you want. The secret is GIVING. You MUST give in order to receive. Yes, it's a religious concept, but it's also universally true. When we hoard things and we are stingy with money, time, etc., it sends our subconscious mind the message that the universe is not a safe place and that we must collect things and keep them if we want to have them. they must grab things and hold on to them. This idea of clinging, collecting and hoarding is the opposite of an abundant mindset. The universe is ALWAYS ready to give more. There will ALWAYS be more money and another opportunity. I prefer to call this type of abundant mindset "living with an open hand." When you have your hand open, it can give and receive. any more. It cannot live abundantly. It is a closed circuit leading nowhere. Open that hand and live your life as a free person. The universe is willing to give you everything you want, once you are ready to receive it, give back, and receive again. This allows a constant flow of energy through your life. Self driven methods of hypnosis are extremely effective in making lasting changes. Would YOU like my help with making this powerful change in 2008 and living the life you deserve right NOW? I have dedicated my life to developing hypnosis products and services which remind you of the passion and determination you naturally have to move forward with your goals quickly and easily. 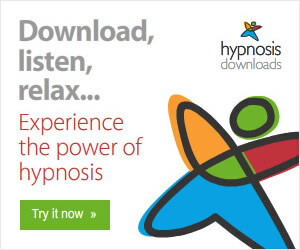 I invite you to view the result of my life's work - a powerful line-up of over 200 professionally recorded hypnosis CDs and Mp3s used by amazing people like yourself worldwide. 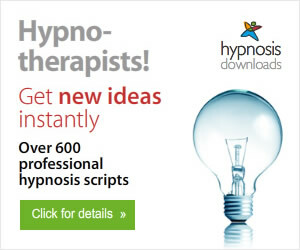 Visit Better Living with Hypnosis.